Michigan-based marketing companies come in all shapes, sizes, and locations across the Great Lakes state. For businesses and organizations looking for support from marketing firms or agencies in Michigan, this is a great thing. You have many good options to review and choose from. But how and where can potential clients find the right marketing agency or other marketing firm or resource located in Michigan? That’s the issue I tackle in this post. Read below for an overview of the professional marketing support ecosystem in Michigan, along with website links and pointers that I think will help you discover good resources. This post also contains links to Michigan marketing associations, Michigan marketing clubs (college and university groups), and regional Michigan marketing directories that may be helpful. TIP: The navigation links directly below also provide a quick preview of what’s inside. Click on these to jump to specific sections. The Michigan Marketing Directories section is where the pointers to online directories begin. Have you ever wondered how many marketing companies and agencies there are in the state of Michigan? Or maybe how and where to find the various marketing firms and resources available in Michigan? I had these questions myself, so I did a lot of online research and organized it all into this detailed post. My main purpose here is to explore and highlight the ecosystem of marketing companies in Michigan, along with related marketing resources. This includes marketing companies and marketing agencies, as well as marketing consultants and freelancers who provide professional marketing services to businesses in Michigan and elsewhere. I include sections on Michigan marketing associations, plus student groups and clubs located at Michigan colleges and universities. I make an assumption here that companies in Michigan may have a strong preference for doing business with local marketing agencies and service providers. After all, it’s great to be able to get together face-to-face for project meetings and team collaboration when needed…without jumping on airplanes or driving huge distances. But I also recognize that this kind of local sourcing preference doesn’t always apply. Michigan companies in need of outside marketing support obviously have the ability to look nationwide and even globally for qualified marketing skills. Some marketing projects can be executed completely remotely, with no on-site face time expected or required. Global skilled resource marketplaces like Fiverr and Upwork are definitely helpful for those interested in pursuing this approach. Still, companies often prefer to work with local experts when possible. So it’s this context that forms the basis for this post… with a geographic focus on Michigan marketing companies and related resources in this case. As a region, Michigan is blessed with an abundance of choices when it comes to marketing companies and service providers. Some of this is due to the long-term presence of the auto industry and its ecosystem of manufacturers, suppliers, and business service providers. But the breadth and depth of marketing support in Michigan goes well beyond the auto industry. There are Michigan marketing agencies supporting consumer products and services, small businesses, tourism and hospitality, manufacturing, and many other industry segments as well. For every industry that’s important within Michigan, there’s some level of local marketing company expertise available for hire to support it. Most of the more visible Michigan marketing firms describe themselves as marketing agencies, meaning they are staffed and prepared to take on entire marketing functional areas on behalf of their clients. These areas are often tactical in nature, tucking in underneath a broader marketing and business strategy set by a client company’s executive management team. While conducting research for this post, I quickly realized that the idea of providing an exhaustive listing of each and every marketing firm in Michigan would be overkill. I’ll leave that job to the “Yellow Pages” style online directories. I may call out some marketing agencies and other service providers by name, as examples of their peer group or as examples of some of the marketing firms residing in specific regions of Michigan. If I know them personally and/or have done business with them in some way, I’ll make that clear as well. Not surprisingly, the vast majority of marketing companies and agencies based in Michigan are located in the metro Detroit area. This can be expanded somewhat to include southeast Michigan and Ann Arbor area marketing companies, consultants, and freelancers. Some parts of Michigan can also look to other states for “local” marketing support. For example, companies in southwest Michigan can view the greater Chicago area as a viable hunting ground for finding qualified marketing service providers closer to home. Companies in southeast Michigan may want to keep Toledo, Ohio-based marketing firms in mind as well. And companies in the far western reaches of Michigan’s Upper Peninsula can rightly look to Wisconsin-based and Chicago-area marketing firms as being relatively local to them, vs. Detroit-area marketing firms. Michigan Marketing Agencies vs. Consulting Firms, Etc. A Michigan company or organization in need of outside marketing services is immediately faced with a vast array of choices. One of these has to do with terminology – should they hire a marketing agency, a marketing consultant (or consultancy), or a solo marketing freelancer with the right skill mix? I think of these options as follows, although there are always exceptions. These are marketing firms that have deep skills in one or more marketing specialties or sub-areas. They can be boutique marketing agencies with relatively small staffs and service focus areas, or larger agencies that can provide outsourced marketing services covering virtually all marketing functions on behalf of their clients. Examples include traditional and digital ad agencies, public relations agencies, SEO and PPC agencies, branding and creative agencies, social media marketing agencies, etc. Some marketing agencies offer an “integrated marketing” approach that delivers a combination of traditional and digital marketing tactics within a cohesive campaign designed to reach buyers through different channels and media. And some marketing firms pitch the idea of outsourcing the entire corporate marketing function to the agency, essentially moving the client company’s entire marketing function from in-house to external. These are consulting teams that often operate in the space between overall business strategy and the specific marketing tactics that are engaged internally and/or with the help of marketing agencies. Marketing consultants may be experts at developing high-level business strategy from a marketing perspective, ensuring that the client’s overall marketing strategy and supporting tactics are strongly connected to corporate goals and objectives. Marketing consulting firms may be better than agencies at performing detailed market research, quantitative analysis, pricing analysis, industry sector or product segment analysis, etc. They may also be called in during turnaround situations. Marketing consultants also often tackle assignments that are more loosely defined at the outset, where the direction and downstream activities are still fuzzy and unknown. Marketing consultants may also operate at very tactical levels, as subject-matter experts in specific marketing sub-topics. Examples of this would include experts in specific email, CRM, or marketing automation platforms, SEO consultants, and similar topics where deep, consulting-level expertise is needed. It’s worth noting that many marketing “agencies” will have consulting-level resources on staff as well… at least in some specific marketing skill areas. There are definitely shades of gray when it comes to distinguishing a marketing agency from a consultancy. A freelancer is an individual who offers specific marketing skills on an hourly, retainer, or project basis. Marketing freelancers are available in virtually every marketing skill area that would otherwise be covered by a marketing agency or marketing consulting firm. Many marketing freelancers also consider themselves to be marketing consultants. It’s mostly a matter of terminology regarding how they prefer to position themselves. For example, a great freelance marketing writer may also be an excellent marketing content strategy consultant. He or she could position themselves as both an experienced marketing writer (task-level skill) and content strategist (consulting-level skill). As mentioned earlier, it’s of course also possible for companies to look anywhere in the world for outsourced marketing skills. Freelance skill marketplaces like Fiverr and Upwork make this relatively easy. Depending on the marketing project type, this approach doesn’t always work out as hoped. But when it does work, it can be a great time and money saver. LinkedIn Profinder is another good way to find more localized freelance marketing skills, tapping the talents of the LinkedIn members who join this program as marketing service providers. For the purposes of this post, I use “marketing firms” and “marketing companies” as general catch-all terms for anything larger than solo marketing practitioners. I sometimes use the “agencies” descriptor where I think that added focus is helpful. Another interesting aspect of external marketing support requirements is the scale and scope of the marketing project in question. Do you need a quick print run for a marketing brochure that was designed in-house? Or perhaps a quick fix on a web design issue? Or do you need a 6-month, cross-channel, fully-integrated traditional + digital marketing campaign for a multi-million dollar product launch in the US and Europe? The best marketing solution providers will be dramatically different in these cases. In Michigan, we are blessed with marketing professionals, vendors, and companies who, collectively speaking, can cover virtually the entire range of marketing needs. Some Michigan marketing firms serve very specific industries, either by intent or as a natural outcome of building their client portfolios over time. When choosing a marketing service provider, clients should always consider to what extent having industry-specific knowledge is critical. While it’s nearly always a good thing for an outside marketing firm to have deep expertise in your specific industry, there may be cases where a topic-specific skill is more important. For example, you may want to hire an agency that is an absolute rock star in Facebook advertising, even though they may not know your industry as well as another more traditional industry marketing firm that is just now getting into the world of paid social media advertising. If the industry is important to Michigan’s economy, you can be sure there are several marketing service providers in the state who make their living in these specific segments. Some marketing firms in Michigan never stray far from one or two target client industries. For many years now, the term “digital marketing” has been used to distinguish online marketing tactics and channels from more traditional marketing approaches, such as print media, TV and radio, live events, etc. Here’s the Wikipedia definition of digital marketing. Today, it’s hard to find a Michigan marketing company or agency that doesn’t incorporate at least *some* elements of digital into their overall services portfolio. Many will identify themselves as a digital marketing agency, first and foremost. Within a few years, the term “digital marketing” should probably go away completely. The digital aspect will just be assumed. Maybe “digital marketing” should even earn a spot on LSSU’s list of banned words! For now at least, the term “digital marketing” is alive and kicking, and is still useful in some contexts. Companies looking for marketing firms in Michigan are just a few clicks away from finding numerous options. Many marketing agencies are organized into online marketing directories. I include several of these directories below, along with a few observations and comments. Most online marketing directories are free and/or “pay-to-play” for the companies listed. Marketing companies in Michigan will often secure a free listing in these directories, and some will then pay for more visibility as a “featured” marketing agency or firm. Examples of these online directories include the websites for Expertise.com, Clutch.co, Upcity.com, Sortlist.us, and a few others like them. They basically compete against each other for promotional fees from marketing agencies. These online directories tend to rank well in Google for searches on “best marketing agencies in Michigan”, “top marketing firms in Detroit”, and similar searches. That doesn’t mean they will offer you the best options for your specific marketing needs. Remember that they are essentially pay-to-play advertising outlets for marketing agencies striving for better visibility. In that regard, you can take the directories below with a grain of salt and not assume they are highlighting the absolute best marketing firms available in Michigan. They are still a decent and quick starting point for exploring your options for Michigan-based marketing companies. Some of these directories are more useful than others as research tools for potential client companies. The better ones provide helpful filtering tools and even matchmaking services to help speed the process of connecting qualified marketing firms with clients in need of support. The weakest of the online directories are basically just company lists. They provide marketing firm names and contact details, but little else in the way of useful research or selection information. With that intro, let’s dive in and take a look around. These are not listed in any specific order. This directory site, based in Seattle, Washington, covers a wide range of skills and professional services firms in cities across the US. They claim to use a specific scoring methodology to sort through a large number of local firms and then select the top 10 or 20. These final selections are then listed in alphabetical order. Expertise.com says that they do not allow firms to pay for inclusion in the list, so there apparently is no advertising-specific “pay-to-play” revenue model here. Chicago-based UpCity is another modern directory-style resource focused on listing and promoting digital marketing agencies. They provide listings and brief descriptions for marketing firms that offer a wide range of digital marketing services. UpCity uses a proprietary scoring methodology to evaluate agencies, but does show its “partner” firms at the top… including Diamond, Platinum, Gold, and Silver partners, in that order. Marketing agencies can get free listings on UpCity. The company also offers digital marketing software tools and reseller opportunities to marketing agencies, so a “freemium” agency partnership approach is clearly the basis of the UpCity revenue model. Manta is more of a Yellow Pages style, “old-school” online directory resource. They have over 5000 marketing firms listed in their Advertising and Marketing in Michigan category, covering a huge range of traditional and digital marketing services. Manta highlights “featured companies” first (via paid listings), though it’s possible for agencies to get free listings as well. Detroit Ad Agencies is a web resource that lists ~ 30 metro Detroit-based advertising agencies in alphabetical order. The list includes brief information about each agency, though it’s not clear exactly how the agencies were selected for inclusion here. Looks like a “featured agency” ad placement helps to pay the bills for this website. The Creative Ham is a website for advertising agencies and professionals. They provide a listing of ~ 18 Detroit advertising agencies. Most of these are the heavyweights in the Detroit advertising industry. Marketing firms can pay to get preferred placement and visibility as “Featured Agencies” here. Otherwise, the listings are in alphabetical order. Sortlist provides a matchmaking service between client companies and listed agencies, with all fees paid by the partner agencies. Click on the “Find my agency” or “I need an agency” buttons to get the process started. Agencies can become a Sortlist Certified Agency for an ongoing investment of at least 250 Euros per month. Thumbtack is another nationwide resource site for finding and hiring skills in just about all possible service areas, from home improvement to professional business services. Their listing for marketing consultants in Detroit, Michigan includes 360 marketing firms covering a wide range of marketing services. They offer a matchmaking service for prospective marketing clients, where they ask a few questions online before providing quotes from agencies or solo marketing consultants. Thumbtack is supported by fees charged to participating marketing agencies and professionals. LinkedIn launched their ProFinder service as a way to connect their membership with professional service providers who are also on LinkedIn. Participating marketing companies and marketing service providers pay LinkedIn for access to the potential lead flow here. LinkedIn ProFinder is a hybrid of a categorized directory resource and a matchmaking service. It’s similar to the previously mentioned matchmaking services in that they ask a prospective client a few questions to help narrow down the need and identify potential resource matches. Then they forward the request to potential marketing service providers for follow-up. Here’s the LinkedIn ProFinder page for marketing consultants (and agencies) in the greater Detroit area. Portelo is a Seattle-based web resource for finding marketing agency talent in major US markets. Their listing for top Detroit creative agencies includes ~ 15 marketing agencies with website links and physical office addresses. They also include a Start a Project link, which begins a matchmaking process between prospective clients and qualified agencies. The Portelo website also includes some basic information regarding how to go about hiring a marketing agency. What things to research and consider, etc. Portelo offers fee-based partnership opportunities for marketing agencies, where participating marketing firms become Highlighted Agencies. Based in Washington DC, Clutch is another online directory service that lists Michigan marketing agencies grouped into a variety of service categories. They follow the familiar directory menu model of “Top [service category] in [major city]” approach: e.g., “Top Ad Agencies & Marketing Companies in Detroit” and similar listings. Their Top Creative Agencies in Detroit page showcases 30+ marketing agencies. Their Top Digital Agencies in Detroit page includes 90+ marketing companies. Worth noting: The marketing agency listings on Clutch often include an hourly fee range and a minimum project size, often in the $5k – $10k range. This can be very helpful if you have a specific budget limit in mind. Marketing firms can get a basic listing on Clutch for free. Of course, there are also options for paying to upgrade to premium or sponsored listings, with more promotional features available as agencies commit more monthly spending to Clutch. Based in Atlanta, Agency Spotter provides a nationwide online directory with advanced search capabilities for finding marketing agencies based on region, specialties, etc. Here’s their page for Detroit creative agencies and design firms. It includes over 130 agencies with basic info for each. Some are noted as “featured” for extra agency visibility. Clicking on any of the agencies will take you to a page with more helpful information. Agency Spotters provides free listings as well as several paid plans for marketing firms wishing to pay for more exposure here. Phoenix, AZ based Agency List provides directory listings for top advertising agencies in all 50 US states, covering roughly 65 major metro areas. Their directory of Michigan-based marketing agencies, focused on the Detroit area, is basically just a collection of links pointing to agency homepages. These include ~ 36 agencies divided into 6 different marketing sub-specialties. Agency List also provides a selection of links for marketing job resources, publications, local schools, and regional marketing organizations (e.g., LinkedIn marketing groups in Michigan). Digital Agency Network (“DAN”) is a London UK-based directory site that provides listings for marketing firms in 57 major cities around the world. Their listing page for top Detroit digital marketing agencies includes two featured agencies and then 20+ additional agencies in alphabetical order. The site includes brief branded summaries of each agency and contact information. Some listings may include more in-depth agency details and job openings. MLive is the media company that publishes local print newspapers and website content for communities in Michigan, including Ann Arbor, Flint, Grand Rapids and Muskegon, Jackson, Kalamazoo, and Saginaw / Bay City. The MLive online presence also includes directory listings for local businesses in Michigan, including, of course, a wide variety of marketing companies. Every major city or region in Michigan has a Chamber of Commerce with an associated website and online membership directory. These directories are not exclusive to marketing resources, but they may be helpful when looking for good local options. They are simple listings and typically do not include the higher-end directory features for detailed selection, filtering, matchmaking, etc. Several marketing associations are active in Michigan. Many of these are local chapters of national associations, such as the American Marketing Association. For client companies in need of a Michigan marketing company or agency, these associations may be helpful for outreach and inquiry. Their leaders and members should be able to help connect clients with good marketing support options. I include a number of these marketing associations from Michigan regions below. At 250+ members, AMA Detroit is the largest AMA chapter in Michigan and also one of the largest in the US. AMA Detroit is focused on career development, networking, and connecting metro Detroit marketing professionals and area businesses. Founded in 1952, AMA West Michigan is the major AMA chapter on the west side of the state. It is focused on professional development, networking events, business development, etc. 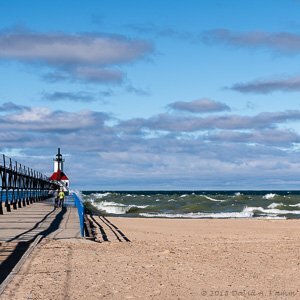 For marketing professionals and businesses in the lower left corner of the Mitten, AMA Southwest Michigan may be a great marketing resource for you. This is AMA’s marketing services provider resource directory and search function. Zero in on Michigan-based resources by entering location or ZIP code info. There is a marketing RFP (request for proposal) contact page here as well. A marketing association with a charitable mission, including supporting the Ronald McDonald House of Western Michigan. Part of the oldest and largest professional organization devoted to design topics. Active since 1959, DMAD is “the pulse of direct marketing in Detroit”… focused on the art and science of direct marketing. Based in Troy, MSED is an association for Detroit-area marketing and sales professionals. Its focus is on networking, professional development, industry education, and student scholarship programs. Based at EMU in Ypsilanti, the MME organization is part of the Michigan DECA program. Members include educators and business people interested in promoting marketing education at the high school and community college level. We also have several industry-specific marketing associations active in Michigan. I include a few here. Michigan’s colleges and universities are of course also very active in the area of marketing education, and have many student-led marketing clubs as a result. Some of these groups are the student chapters of national professional marketing associations, primarily the American Marketing Association. Currently, the AMA has ~ 13 student chapters at Michigan colleges and universities. These college-level marketing organizations are great for student professional development and networking, and can also be a resource for Michigan client companies in need of marketing interns or post-graduation hires. I’ve listed several of these groups below, following a (roughly) larger-to-smaller regional order. Worth noting: The MAMC group also performs client projects as part of their overall mission. The University of Michigan also has an in-house marketing services team called Michigan Creative, based in Ann Arbor. It’s not a marketing student group or club, but I include it here as an example of the kinds of services available from an internal marketing services department at a major US university. Most colleges and universities have similar “captive” marketing departments at varying levels of scale and scope. This is the AMA’s student chapter at the U-M Dearborn College of Business. U-M Dearborn’s Public Relations Student Society of America. The University of Michigan’s Flint campus provides this list of marketing associations as another handy reference. These are not student groups, but I include it here as another U-M resource. And the Center for Digital Engagement, which is an excellent resource for digital marketing internships (and for finding good digital marketing interns for real-world business projects) in southeast Michigan. Here’s a listing of all EMU College of Business student organizations. There are a number of WMU student marketing organizations, including an AMA chapter, Ad Club, Food Marketing Association, and Sales and Business Marketing Association. CMU’s Marketing and Hospitality students have several club-level options available, including the American Advertising Federation (Ad Club), an AMA chapter, and a Hospitality and Tourism Association. Options for marketing students here include the NMU chapter of the American Marketing Association. Michigan Tech also includes a student chapter of the AMA. GVSU marketing students have access to at least two marketing clubs, including the American Marketing Association at GVSU and a group for supply chain management professionals. I was not able to find any student groups for marketing at University of Detroit. UDM marketing students and staff… let me know if I missed something here! Wayne State marketing students have several group options, including the American Advertising Federation and the American Marketing Association student chapter at Wayne State. All groups are listed under the Mike Ilitch School of Business student organizations page. Walsh College is well known in Michigan as a great option for business education. Learn more about the Walsh College marketing association here. Albion College maintains a student chapter of the American Marketing Association, mentioned here. LSSU maintains a student marketing club, with brief description and contact information available here. Ferris offers a student chapter of the American Marketing Association. So, that’s a wrap for my review of how to find marketing companies or other marketing resources in Michigan. Useful? Let me know either way in the comments below. I plan to make ongoing updates to this post, so I welcome your suggestions. We have a lot of marketing service providers in Michigan! At least hundreds of them, if we include all small marketing agencies, solo marketing consultants, and freelancers. This is great news for Michigan-based companies who have a strong preference for using local marketing resources. It’s also good for marketing professionals and marketing students who may prefer to work for Michigan marketing agencies or other outsourced marketing services firms. But it also creates an “agony of choice” situation for potential marketing clients. This can lead to analysis paralysis when searching for your best outsourced marketing options. My advice? Use the filtering and matchmaking tools provided by some of the better marketing directories highlighted above to narrow down your options and help build your short-list for marketing vendor outreach. And of course, ask your business connections and local networks for their recommendations. How are you different and better than the “other guys down the road” who provide similar outsourced marketing services? What is your own positioning advantage? It’s certainly a dynamic marketplace for both buyers and sellers of marketing services in Michigan. Let’s all get out there and stay focused on doing our best work together as clients and Michigan marketing service providers. Over to you now. Have you used any of the marketing service provider directories above? Or maybe a Michigan-based marketing association or a Michigan college or university marketing club resource? Please add your thoughts in the comments below.